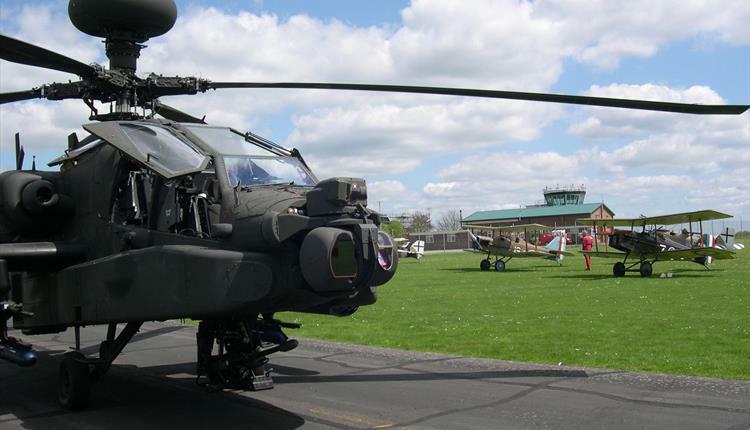 Home to a unique collection of aviation history of national importance, the renowned Museum of Army Flying gives a fascinating glimpse in to Army aviation. Located next to the Army Air Corp Centre at Middle Wallop near Andover the museum covers Army aviation from the Balloons of the Royal Engineers to the establishment of the Royal Flying Corps in 1912, the Air Observation Post Squadrons and the Army Air Corps in 1957. Over 35 historic fixed and rotary wing aircraft on display plus multiple flight simulators. The Apache Café has excellent views across the airfield adjacent to the Museum where you can see aircraft in flight. Lovely day out. Price includes entrance ticket. Located next to the Army Air Corp Centre at Middle Wallop near Andover the museum covers Army aviation from the Balloons of the Royal Engineers to the establishment of the Royal Flying Corps in 1912, the Air Observation Post Squadrons and the Army Air Corps in 1957. Over 35 historic fixed and rotary wing aircraft on display plus multiple flight simulators. The Apache Café has excellent views across the airfield adjacent to the Museum where you can see aircraft in flight. Lovely day out. Return to the local area – 4.00/5.00pm approx.